superior back support and comfort in every mode. 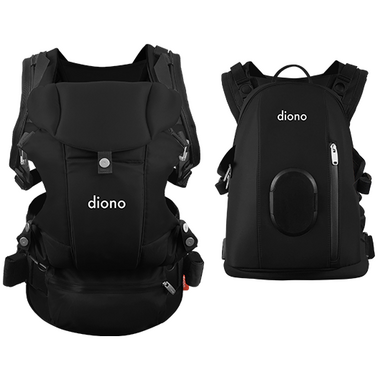 Unlike other carriers, the method of attachment of the harness doesn’t change between front and back carrying as the same pod is used to support baby. Switching is made simple. This makes Carus Essentials really easy to use and also ensures complete ergonomic comfort for you and baby. The pod is super simple to attach with zip and click fastenings and can be attached to both the front and the back in the same way. Allows parent facing, world facing and back carrying positions. Acknowledged as a hip-healthy baby carrier, with adjustable leg support to grow with baby, Carus Essentials features a ‘close to me’ touch pocket at the front to allow you to comfort baby. Oeko-Tex® approved and certified textile fabric. 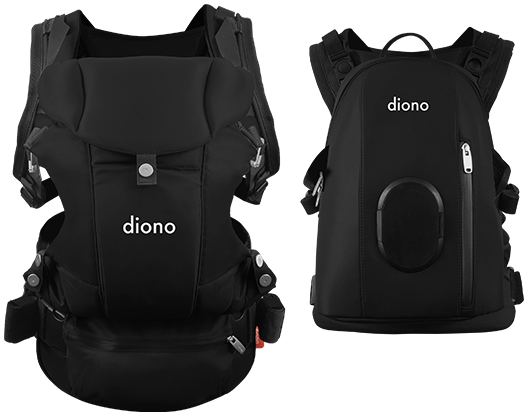 The Diono Carus Essentials is engineered for all adventures, wherever life takes you. With a small baby carried parent facing, or a bigger baby carried world facing, a small one on your back or walking hand in hand... you can wear Carus Essentials your way. Unique harness design ensures parents always have optimal back support no matter what mode the carrier is in. Completely adjustable pod with easy slide fasteners and durable clips allow superior comfort and maximum support for baby and ease for you. Acknowledged as a hip-healthy baby carrier by the International Hip Dysplasia Institute with adjustable leg support to grow with baby. Ready for anything with inward and outward front carry modes and a back-carry position. Lets you easily and intimately carry your growing child to nurture your natural bond and the close-to-me pocket on the front of the carrier allows you to comfort baby with ease.